Having received wide acclaim at the Royal Geographical Society in London, the Environmental Photographer of the Year 2013 exhibition comes to Grizedale Forest in the heart of Cumbria’s Lake District. 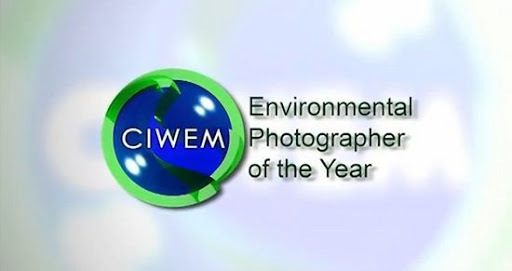 The annual competition has become an international showcase for the very best in environmental photography and video, honouring amateurs and professionals of all ages. The exhibition features over 100 astonishing images by international photographers who narrate a poignant story about the fragility of our planet, the pressures on land and resources and the people who are pushed ever closer to the margins by the persistent drive of globalization. Compiled from the very best of 3000+ entries, the exhibition aims to enhance our understanding of the causes, consequences and solutions to climate change and social inequality. Italian photographer Michele Palazzi was awarded the Environmental Photographer of the Year Award 2013 for his image entitled ‘Gone with the Dust #02’ . Palazzi, who is from Rome, was awarded £5,000 by CIWEM’s President, Paul Hillman, at a private awards ceremony at the Royal Geographical Society on 9 April 2013. His striking and emotive prize-winning image shows a young boy and his sister during a sand storm in the Gobi Desert, Mongolia. The Young Environmental Photographer of the Year (under 18) Award of £1,000, was awarded to Eleanor Bennett who has two works selected for exhibition, ‘Travelling Through’ and ‘Car Damage’. Bennett who is 17 years old is from Stockport, Greater Manchester. This year saw a major new partnership with Atkins, one of the world’s leading engineering and design consultancies who are supporting the competition and exhibition. Forestry Commission England, Arts Development Assistant, Antony Mottershead says, ‘We are very excited to be hosting such a prestigious exhibition at Grizedale Forest and make these thought provoking photographs visible to an entirely new audience. The photographs bring the ‘edges’ into startlingly clear view but also celebrate the character and resilience of extraordinary people and places around the world’. This powerful and thought provoking exhibition of outstanding environmental, social photographs by international photographers and filmmakers will be on display at Grizedale Forest Visitor Centre, Forestry Commission England, in Cumbria from 25 May – 1 September 2013. This entry was posted in environment, exhibition, Grizedale Forest, images, Lake District, London, Photography and tagged Chartered Institution of Water and Environmental Management, Cumbria, David Haley, Gobi Desert, Grizedale Forest, lake district, London, Royal Geographical Society on May 23, 2013 by cottageholidaygroup.